What a great (get it? 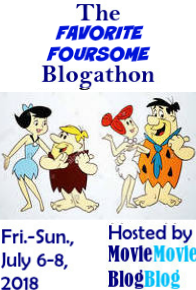 “great”) first group of posts for the blogathon! Destroy All Fanboys! grabbed Roger Donaldson’s first two feature films Sleeping Dogs and Smash Palace off the stack of to-be-seen films and was rewarded with two remarkable and prescient films. Voiceover, fearing Tokyo Story would turn out to be too depressing, instead finds it both powerful and moving. MovieRob reviews For a Few Dollars More and discovers a great, if unconventional, Western. The Stop Button agrees with most that The Apartment has spectacular acting and direction, but was still disappointed in its uneven tone. Caftan Woman finally gets around to watching Modern Times in its entirety and is pleased to find it a genuine classic. What the Craggus Saw wonders why it took them so long to get around to seeing Young Frankenstein. Oscars and I decides finally having seen E.T. The Extraterrestrial once is sufficient. dbmoviesblog enjoys the focus on character in Robert Bresson’s Pickpocket. Realweegiemidget Reviews is delighted by Neil Simon’s romantic comedy The Goodbye Girl. Taking Up Room catches up with The Red Shoes, and agrees with most that it is a cinematic gem. 4 Star Films becomes immersed in Werner Herzog’s Aguirre, the Wrath of God. Fran Laniado has some conflicting feelings about Ridley Scott’s sci-fi noir Blade Runner. That’s it for today! Any latecomers will be added to tomorrow’s recap. Finally got my post on 2001 done. Yikes, so you did. Sorry! I will add yours to tonight’s recap. Previous Previous post: The Greatest Film I’ve Never Seen Blogathon is Here!